It’s the holidays all over again with this stunning graphics card deal at Newegg. 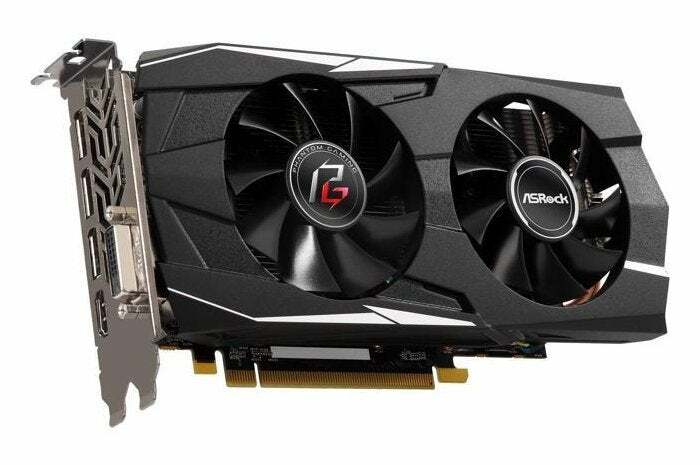 The 8GB ASRock Phantom Gaming D Radeon RX 580 costs just $165Remove non-product link after applying the promo code NEFPBC39 and receiving a $20 mail-in rebate on Newegg Flash. This card is also eligible for AMD’s current free game giveaway, which includes your choice of two games from Resident Evil 2, Devil May Cry 5, and Tom Clancy’s The Division 2. This sale actually would’ve stood out even during the holiday season, as most of the time we were looking at deals for 8GB Radeon RX 580 cards around $180. Newegg’s sale price ends on Thursday; however, stocks on the Newegg Flash sub-site tend to be limited so this deal may expire much sooner than that. The AMD Radeon RX 580 is a fantastic graphics card for 1080p gaming. With this GPU you can expect a solid 60 frames per second performance (or more) on most AAA games with the graphics settings on Ultra. You’ll also see top-notch performance with High graphics settings on a 1440p display, and the massive 8GB memory capacity that this custom-cooled ASRock model comes loaded with should be plenty for gaming even at the higher resolution. The Radeon RX 580 offers a whole lot of bang for your buck even at its full $260 price point. This 8GB ASRock Phantom Gaming version is a heck of a deal for $165. This story, "AMD's powerful, versatile 8GB Radeon RX 580 is just $165 at Newegg, with two free games" was originally published by PCWorld.